Composition veneered in oak . 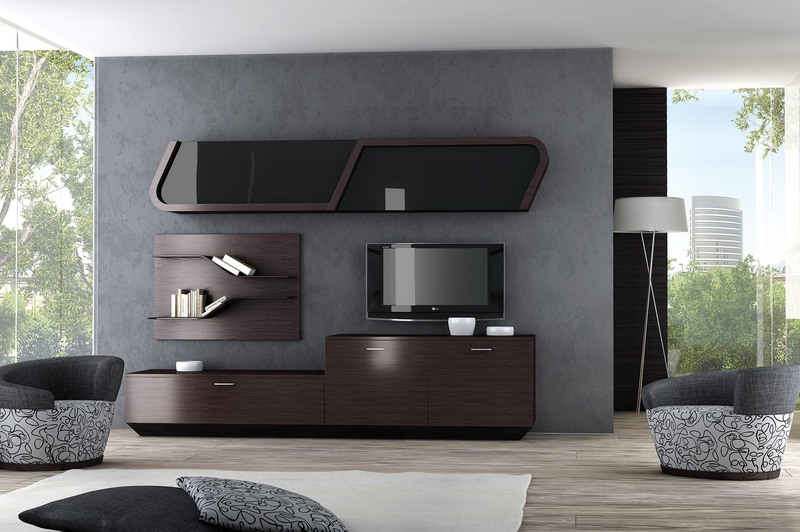 Wall units in solid curved wood and doors in high gloss lacquered wood. 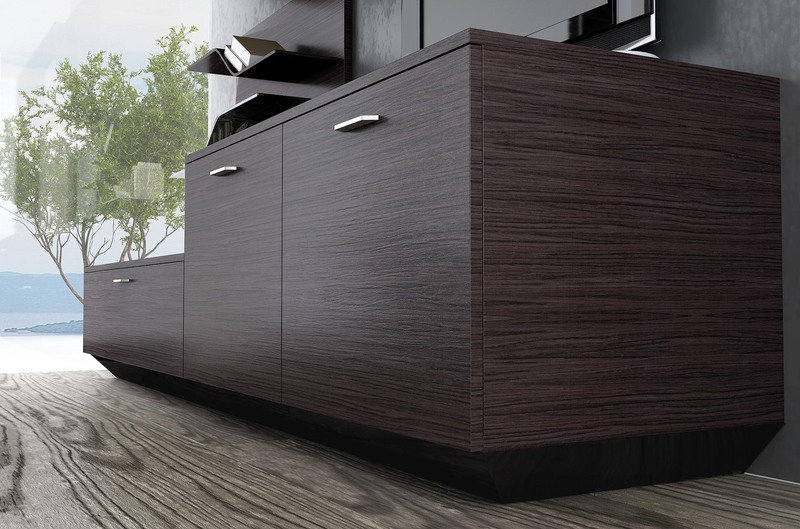 The doors opened telescopically, manually or by remote control .Base elements with two doors and one drawer veneered in oak. 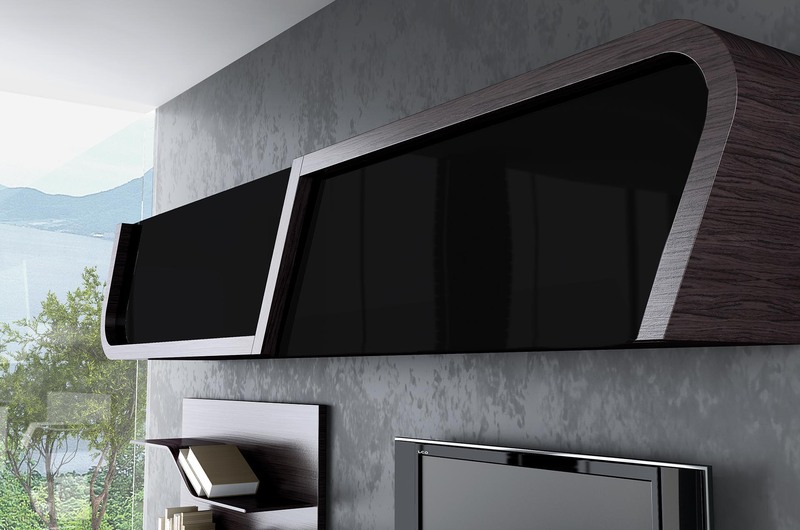 The middle wall element contains 2 curved glass shelves. Base in high gloss lacquered wood.